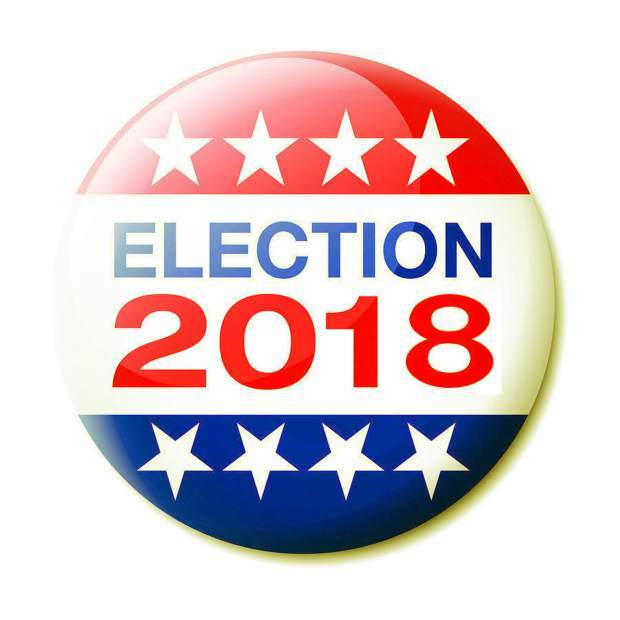 Municipal elections are right around the corner, which means it’s time for Grand County residents to start getting to know the candidates a little better. We’ll start with the candidates from Fraser, where there are three Board of Trustee seats opening up this April with the terms of Katie Soles, Andy Miller and Cody Clayton Taylor all expiring. Soles and Miller are both running for reelection, along with three newcomers: Ryan Barwick, Kim Daniels and Barry Young. Elections will be held on April 3, and voters in Fraser should begin receiving ballots in the mail sometime next week. Ballots can be returned by mail or in person to the Fraser Town Hall. Please provide a short background on yourself. I have lived in the valley for almost 10 years. After working domestically and internationally in the finance world, I relocated to Grand County to pursue my entrepreneurial goals. Currently, I own two local, successful businesses: MAD Adventures (river rafting) and Grand Adventures (snowmobiling). I have also served on the Board of the Colorado River Outfitters Association for the past 7 years. My fiancé and I love living here and are expecting our first child this June. Why did you choose to run for election? A lot of changes are taking place in our community. With the recent acquisition of Winter Park Resort and numerous other privately funded projects taking place, the valley is experiencing significant growth and potentially exciting opportunities for the future of our community. I truly believe the next few years will present our town with some tough, but exciting decisions on the future shape of our community. What do you think are the biggest issues facing your community? Development and Affordable Housing are the biggest issues facing Fraser. Our community is growing quickly and we must ensure this growth continues with our values and history in the forefront. And as Fraser grows, we need to ensure that affordable housing is available to those that need it and we must make sure affordable housing keeps pace with our projected growth. What could you do as an elected official to help solve these issues? I bring a unique background to this role. I have lived in several countries, both in small communities as well as some of the largest cities in the world. This gives me a unique view of life and has helped me understand that growth does not need to come at the expense of a community’s values. As a long-term Board member of the Colorado River Outfitters Association, I have the experience and skills to work collaboratively on difficult issues and help reach agreeable, long-term solutions. Also, my background in finance and small business provides me with a strong financial background, which I intend to leverage in all aspects of the job, including town reviews, planning, project selection and budgets. I believe I will bring a different perspective to the many issues facing our community and do so in a collaborative, solution-oriented manner. As a local entrepreneur I am a tireless worker familiar with some of the major issues facing our community. I bring a unique vantage point to our community and its problems. I make and am willing to make the tough decisions when they arise. I support numerous local non-profits, both personally and through my businesses, as I value and understand the importance of giving back to our community. And I look forward to serving the public in this role. I moved to Fraser 8 years ago, but I have been in the valley for 20 years. I Have two children and I’m married to my wonderful husband, Sean Daniels. I work as an HOA manager for a local property management company. I feel that I can a have a positive and respectful voice in the community. Affordable housing and community growth. I would like to build a foundation for responsible growth without compromising the nature, beauty, and open spaces that drew myself and many others here. I feel that I can help the community with responsible and sustainable growth. For 38 years I was a Retirement Plan Consultant (Actuary) working with small to large companies to design and manage their retirement programs. We have been coming to the Fraser Valley to visit since the 90s and often talked of moving here. After spending most of our lives in Georgia we decided in 2011 to move to the Valley. Our family is currently building the Distillery/Restaurant in downtown Fraser to open this summer (with our children and grandchild all moving to Fraser). For the last two years I have become more involved in what I consider “The future of Fraser” by joining the Economic Development Advisory Committee and attending meetings of the Board, Community Developers and the Fraser Corridor Development. I have become passionate about what our town is doing; when I learned there was an open seat, I decided this is a way to further my involvement. I think we learned from the Fraser Resident survey performed last year that the people of Fraser want us to develop the town to have more for us to do in Fraser. Three priorities would be continuing development of our business corridor, in a smart and financially responsible manner while retaining our unique Fraser character, solving our affordable housing problem so residents that work in and around Fraser can afford to live in town, and supporting our talented artist community by developing a more vibrant arts district. I would apply my 38 years of experience helping companies make difficult financial decisions to working with our Board in analyzing issues and making the decisions so important to our future. I think our town is best served by having a Board with a broad range of background and skills; my economic and business background will be a good compliment to other board members. We are building our business in Fraser because we truly love the Fraser character and community. I want to contribute my passion and experience to work hard to help in the exciting future of Fraser. I moved to Fraser in 1975 on my 20th birthday. We raised 2 children here, and are excited to have a 3rd generation Fraserite on the way! I am in my 33rd year with the Winter Park Ski Patrol; Risk Management is my primary responsibility. Non- Profit work is my hobby; currently Grand Huts Assn Treasurer; past founding member of what is now the Colo. Headwaters Land Trust & 17 years with Grand Recycles. I love Fraser and the Fraser Valley. I served 7 years on the Planning Commission and the past 4 as a Fraser Trustee. The Boards & staff have accomplished a great deal and I like to think I helped in the process. I have time and the desire to serve another term. Housing & maintaining our Mountain Ethic of kindness and caring. Housing- help build collaboration between the Fraser, Grand County and Winter Park. I believe we need an umbrella organization /Housing Authority that serves all of East Grand County. Alone we cannot be as effective. Ethic – I need help with this one. Living by example is easy, educating others is the challenge. If you want to help, give me a call, I’m still in the book. I am committed, honest, a good communicator and listener, and have developed knowledge and skills that help me be effective as a Fraser Trustee. After spending many vacations during my childhood here helping around our family ski lodge Millers Inn, I moved to the valley full time in 1973. I’ve had many valley jobs; taxi driver, miner, dishwasher, child care center director, teacher, and journalist. Presently I am a general contractor. In addition to home building, I’ve completed many public projects – my favorite was the Broome Hut on Berthoud Pass. I’ve been in my Fraser home for 22 years. As a journalist and local activist, I spent many years on the outside advocating for new directions for my home town, Fraser. I know it is important for residents to express their opinions on important local issues. But I also know and respect the fact it is much more difficult to actually serve as a decision maker. Voters allowed me to make this commitment four years ago. Four years ago I said transportation was a major issue; the voter approved sales tax supported bus system is an excellent first step. Buses are only a start. We need to find a more sustainable way to get visitors here – I regularly attend meetings of the ColoRail Association – a group advocating for increased passenger rail in Colorado. Three passenger trains a day served our valley when I was a child; we need to re-activate a northwest Colorado passenger corridor. We must also address real problems created by increased valley traffic. Street design can help slow cars to ensure our town is pedestrian centered. Alternative ways to drive and walk from point A to B must also be realized. The housing shortage threatens our economic viability. As a builder I can help identify real options to help make both rentals and home ownership obtainable for valley residents. We must cooperate closely with our neighboring town, Winter Park. As one resident said in a recent planning meeting, “I thought we were all in this together.” We are. Development codes in Fraser are being completely rewritten. Bottom line, I stand firmly for maintaining the bar ensuring development pays for itself. We must work to keep Fraser as affordable as possible for local residents. Wages must rise; it is increasingly expensive to live here. Jobs outside the tourist economy must be pursued. Local manufacturing or tech start-ups and working remotely are two of many opportunities the town can help foster. We must recognize the lack of available water for development and for environmental preservation is the most important issue we face. Fraser faces multi-million dollar expenditures because the Front Range has literally bled the Fraser River dry. There are ways we can ensure our neighbors help pay for rapidly escalating water and wastewater treatment expenses town residents are paying for. Because I have actually worked in many of the valley’s service industries and have built housing and recreation infrastructure – I bring a concrete knowledge of what it takes to build a mountain community which is both welcoming to visitors and is, most importantly, an outstanding place to pass a lifetime in. No single person can identify and effect ways to manage growth and to help preserve the quality of life in the Fraser Valley. We must work together to achieve community goals. To do this we need leaders who are good communicators and facilitators. My long history of working for valley non-profits and my professional training and experience as a teacher gives me good governance skills. Many times I fantasize the valley might return to the days in the 70’s when a dog could nap in the middle of a two lane US 40 in downtown Fraser on a sunny spring afternoon. I will maintain this spirit while recognizing two realities. Sharing this valley with others is the source of great joy and realistically must be accepted. “Build a wall on Berthoud Pass and make Denver pay for it” will, in some unfortunate ways, never happen. I raised two wonderful sons here and every time I see a family making a similar leap of faith in the future of our valley I feel a tremendous obligation to help give them the same opportunities my family had. A sense of history is important; but an obligation to help create a healthy future is the critical bottom line for any effective public representative.